I'm seeing stripes, and I'm not talking about the ones on jailbird attire. Bold black and white striped apparel not only made its way onto the spring runways, but found a place on the fashionable jet set that street style photographer love. Black and white striped pants, blazers and blouses are an easy way to add a graphic element to an otherwise simple sleek look. For a high fashion look take a cue from these ladies and keep the entire outfit black and white with a single pop of color in a clutch or a pump. 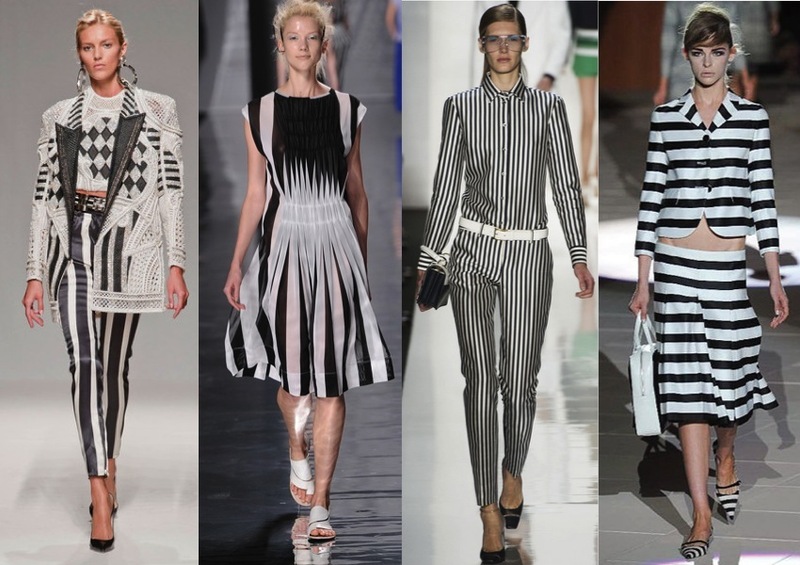 Collections from Marc Jacobs to Issey Miyake decked the runways with black and white stripes for their spring 2013 shows. Equal parts preppy and punk, there is no reason to wait until March to sport this look, plenty of options are already in stores so that you can be an be ahead of the crowd. Obsessed with all things striped, so will definitely be embracing this trend wholeheartedly. i love this trend! alice+olivia had a pair of striped trousers much like the ones in the first photo, and i really regret not snatching them up! so cute! I am obsessed with this trend!!! Especially I like the pants with the vertical stripes - they make legs longer ;) Thanks a lot for sharing! Skinny jeans are amazing, it's a very chic look. 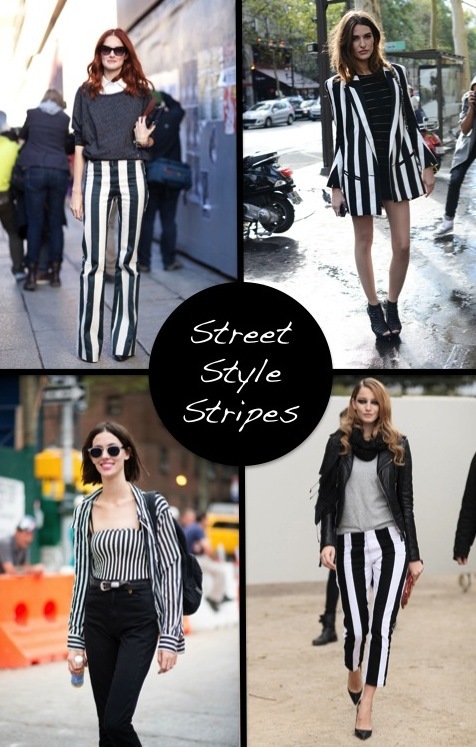 Stripes have been a constant at this season fashion shows. Gotta love Marc Jacobs proposals, his collection is in our top five favourites. Michael Kors did an awesome work too. I am a huge fan of black and white outfits. Love your blog. I am in love with stripes. I bought a bcbg jacket over a yr worrying that its just a trendy piece and I have worn it so many different ways. One of my favorite things in my closet. Amazing post! This is one of my favourite trends.